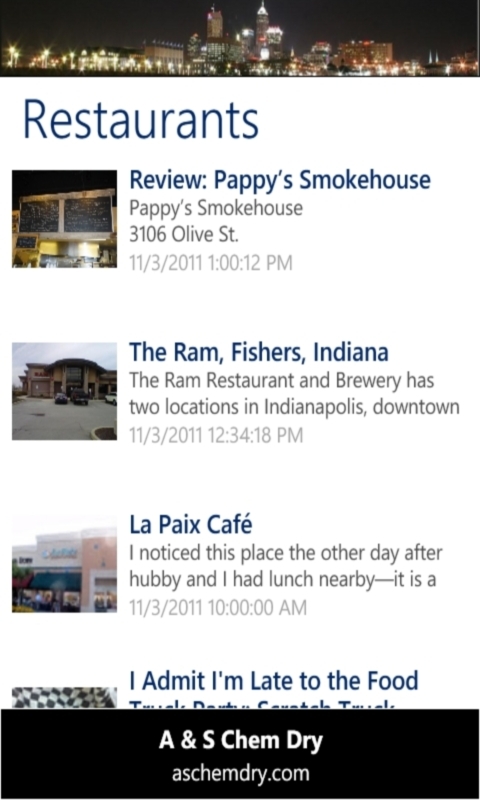 My newest Windows Phone app went live today. 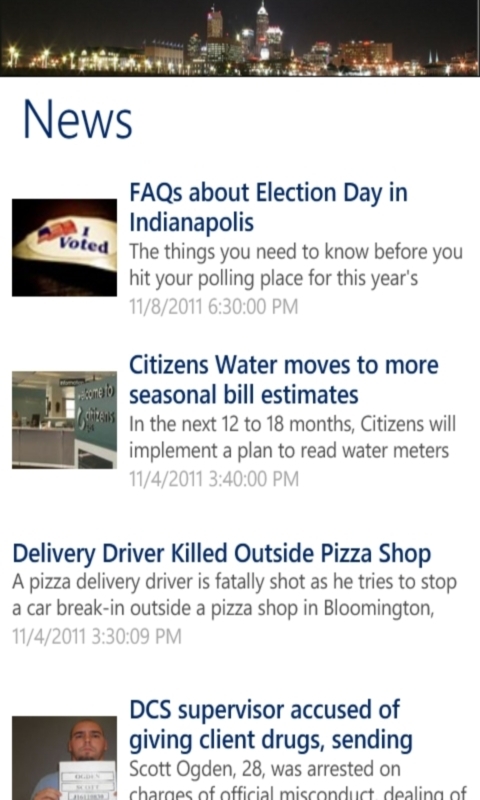 It’s called Indianapolis News and it allows you to easily see an aggregate of news about Indianapolis. You can download the WP7 version here. The news stories are culled from several media outlets in Indianapolis then combined into one stream. News is available in several categories and you can see screenshots below. The Restaurants tab and Breweries tab is a unique feature to this app as it catalogs all of the local restaurant review blogs and beer news blogs and stitches them all together into a single thread. This provides you with a continuous stream of the newest restaurant reviews and local beer news from all over town. After the Super Bowl is over I will remove that section but as that event approaches it will be a major source of local interest. One usability note: Some of the feeds don’t display the full story when selecting them. So simply hit the ellipses (…) icon at the bottom and select “open in ie” to see the full story. So please download it and rate it. As my other apps can attest, they get updated on a fairly frequent basis. So leave a request and I’ll figure out how to add it. 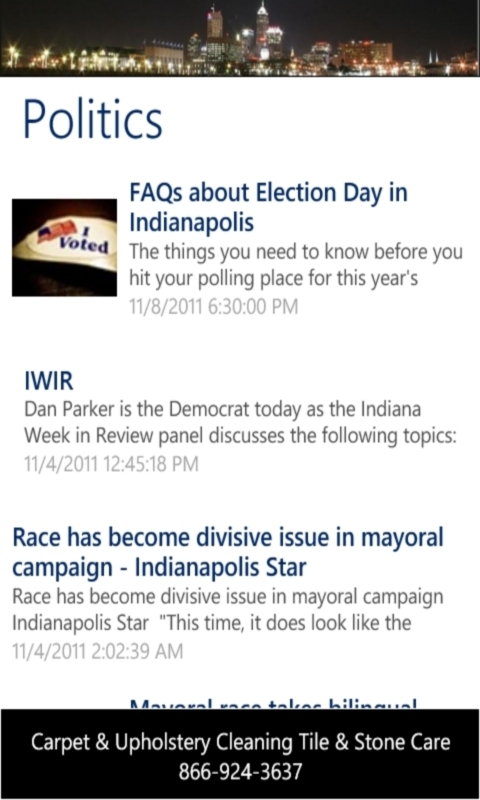 Got an Indianapolis News app for the Android? I do have one for Android but there is a compiling error. So once that gets straightened out, it will be available hopefully this week still. The Android version is now available. The link is above in the article.